We love our kids. And we want to make excuses for them. It’s easy to feel like you’ve lost control when you have a child who acts like a tyrant and keeps you walking on eggshells waiting for the next tantrum. So how can you tell if your child is one of those kids the other parents talk about when you leave the park? 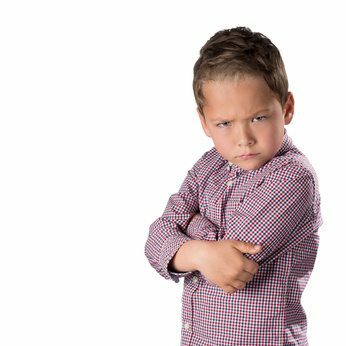 Here are five signs your child is acting like a brat. 1. Your child controls your life. This means that you are following your child’s schedule, not the other way around. You leave play group when HE wants to go, you drop everything and make lunch when HE wants a grilled cheese. Yes, we must feed our children and listen to their feelings and desires, but you are the parent. Having kids is a full time job, for sure, but your entire life should not revolve around your children. It’s important that your kids see you taking care of yourself and putting others, like your spouse and your friends, as a top priority too. 2. Constantly hits, pulls or pushes other children. I’m sorry to say, but if your child consistently hurts other kids it is not always the other kid’s fault. Whether the other child took your child’s building block or place on the teeter totter, that is no reason to hit and this is a behaviour that must be dealt with ASAP. Other parents will not want their kids hanging out with a violent child, and your child will end up spending a lot of time playing by herself if you don’t nip it in the bud. 3. Complains repeatedly about being bored. This is a big pet peeve of mine because it screams entitlement, especially when they have a houseful of games and books and toys and electronics. Whenever my kids used to say it, which they now never do, I would instantly give them a chore to do around the house. Ta da! Boredom gone. 4. Whines from sun-up to sun down. Oh, the whiny child. It’s amazing how some parents can just tune out that high-pitched sound when it’s their own kid. But do the rest of the world a favour and your own child as well), by dealing with whining head-on. Just set aside a few days and try this experiment: every time your child whines, give her a consequence. Whether it’s a thirty-second timeout or the loss of TV privileges, make sure you are consistent. You will be amazed how quickly the whining disappears! 5. Asks for and wants every single thing they see on TV or in the store. We all want our kids to have things that make them happy. But funnily enough, the more things they have, the harder it is to make them happy. Buying them more will not teach them to appreciate what they have. In fact, it will set them up for having that insatiable desire to have more and more stuff they don’t need as they get older. Explain to your kids that they get presents on their birthday and at Christmas, and it is not your job to buy them presents every time they walk into a store. If your kid has bratty tendencies, don’t despair. Just work away at the behaviors and before you know it your child will learn to be polite and treat others with respect and kindness; qualities we should all be striving for. Not sure how to work at correcting those bratty behaviors? Are you tired of yelling and still not seeing improvement in the way your child acts? 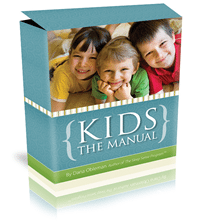 Kids: The Manual is a child-friendly discipline system designed to correct problems like tantrums, not listening, and more in children ages 2 – 12. It takes the guess work out, so you can get your child behaving better faster! Just click the button below to get a copy, and get started today!